How do you find the circumference of a circle? 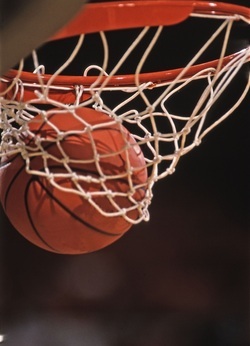 Take a shot at playing this basketball game all about measuring the distance around one of our favorite round shapes! Just click on Geometry Basketball to be an all star math athlete! 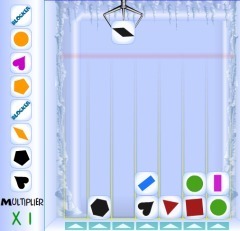 Practice finding congruent shapes in the Ice Blocker matching game! See how well you can determine whether a transition is a rotation, reflection, or translation by playing Icy Slides, Flips, and Turns! 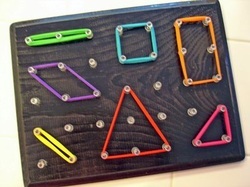 Create geometric shapes with the aid of some virtual pegs and some virtual rubber bands! See how many shapes you can create and test your knowedge about perimeter and area too! Try it all at Math Playground! 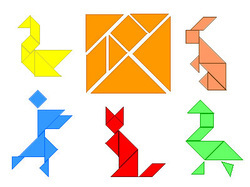 Tangrams is an ancient Chinese game using seven different shaped pieces to create many formations including animals, people, and geometric designs. See how well you can use your knowledge of how shapes work together in Geoshapes, ABCya! Tangrams, and Tangram Games. Try Four Piece Tangram for a fun variation! You may know that there are many different types of shapes found in art, architecture, street signs, toys, and countless other items used in everyday life. But, how are shapes classified? Find out the properties of polygons at Math is Fun and then play Polygon Match for extra practice. The year is 2110 and the world has been taken over by the evil Roiboids. Can you crack the number sequence code to save the world? The Mission is up to you! 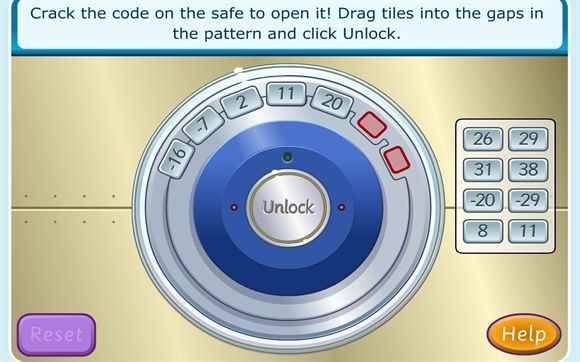 Your skills in decoding number patterns can help you to crack the code to the safe. What treasure lies behind the door? Only you can find out in Crack the Code!